I got an opportunity to participate in the annual gathering organized by Krishnamurti Foundation India (KFI) at Rishi Valley near Madanapalle in Andhra earlier this week. The school, started in 1931, is 3 years older than my father. It was me and my wife’s first visit and my parents’ second visit to the campus. The gathering folks had organized walks along the trails in the valley. 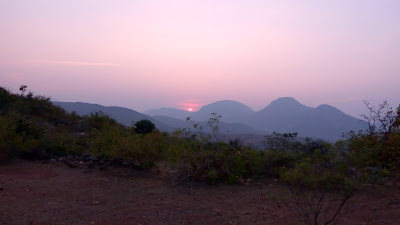 Watching the sunrise, sunset and the green valley from the hilltops every day was a joy. For nature lovers, Rishi Valley’s serene campus was a treat. The theme for this gathering was: Living responsibly in today’s world. 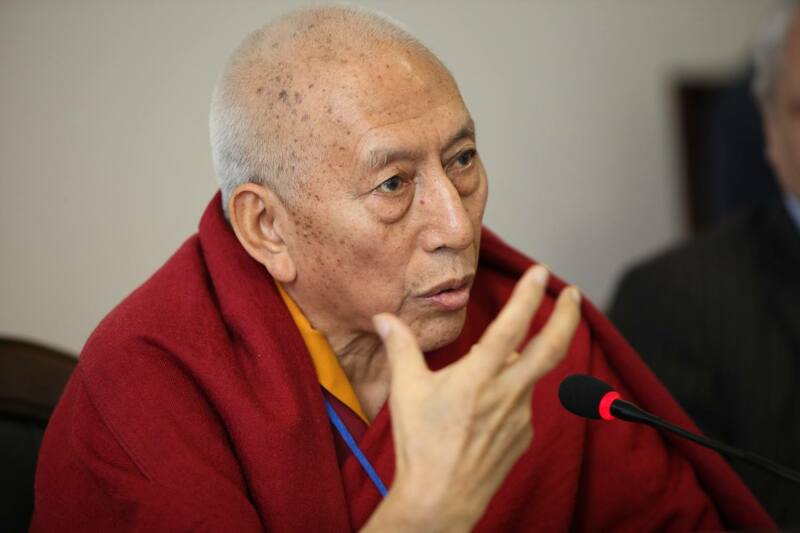 Pofessor Samdhong Rinpoche was one of the speakers at the gathering. He talked about what it means to live responsibly. Rinpoche highlighted that talking about responsibility and rights without self-awareness is meaningless. Self-awareness i.e. understanding “Who am I?” or “What am I?” is one's primary duty. Hence, a human rights movement which comes out of ignorance (i.e. without an awareness of the true nature of the self) invariably turns in the wrong direction e.g. becomes violent. Each day there was a video presentation of one of J Krishnamurti’s talks. One of the talks (Madras, December 1980) focused on the nature of corruption. What is corruption? K said, ”Corruption is not merely at the superficial level, passing money under the table. But corruption is much more deep, corruption is in the mind, corruption is the exercise of thought for its own benefit.” Then K further said, “When thought is attached to a particular idea, experience, to a particular nation, to a particular belief, dogma, such attachment must inevitably breed corruption.” This definition of corruption is far more subtle than what we use generally. So if attachment to an idea or belief is the root cause of corruption, how does one remove the attachment? This is where K says something strange. He says, “To remove the cause is to observe the cause, not try to change the cause. If I am corrupt, I observe what that corruption is”. What K is suggesting here is to pay attention to the train of thought as it is getting attached to an idea or a belief. Perhaps it is easier to observe this when I experience emotions such as hurt, anxiety, anger, pride etc. Every day we also had small group discussions. One phrase that caught our group’s attention during our discussion was “hard work”. K says, “(Paying) close attention (to your train of thought) is hard work.” We found out from participants what this “hard work” means to them. One participant said that he needs to be attentive while eating while another one said he needs to be attentive while sharing the kitchen with his wife. In the kitchen, he tends to demand the same level of orderliness that he exhibits in his office. For example, a spoon has to go back to its place etc. Watching all this is indeed hard work. Perhaps this is a 17x7 job (assuming 7 hours of sleep). Perhaps that is the serious way of tackling corruption. We also got an opportunity to visit the Rural Education Centre (REC) at Rishi Valley which is as old as independent India. REC is currently championing a multi-grade methodology called Rishi Valley Institute of Educational Resources (RIVER). While REC has implemented the methodology in thirteen schools in and around Rishi Valley, it has been adopted in various countries. After a 20 minute presentation we were taken to a primary school, Vidyavanam. 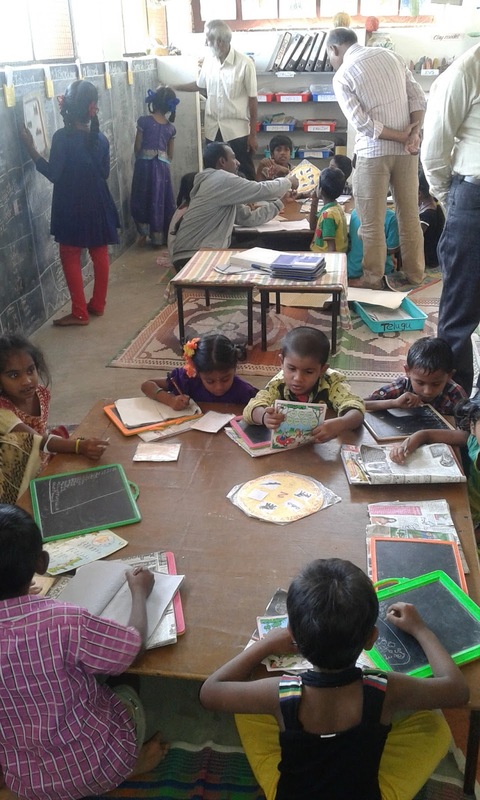 It was a multi-grade class (1st to 4th grade), teacher was a facilitator (sitting with one group), black board belonged to the students and each student was busy doing his/her activity which could be in any subject. Apparently, Andhra Pradesh is beginning to roll out the RIVER methodology in all its primary schools across the state. I feel there is a lot to learn from RIVER approach and I plan to study it further. I am glad I attended the Rishi Valley gathering and I appreciate the organization of the retreat for the 250 odd people who attended it.